When March Madness rolls around, you probably hear rumblings of the various pools being put together at work. Maybe the whole company gets involved and there are long standing rivalries that are heating up again between departments (Finance is determined to beat Marketing this year). Maybe you’ve already got the cable guy scheduled to check your service and make sure the TV in the lunchroom gets all the necessary channels to avoid a revolt. Maybe, as some legal experts would prefer to hear, your IT department is working on blocking www.NCAA.com (not to mention ESPN.com, foxsports.com, and whole host of other sites with online brackets) for all computers on your company’s network. Or, maybe a group of employees, mostly the sports aficionados, have put together a small pool, will send out reminders to get your brackets (and money) in, and then spend the next month or so chitchatting about the latest upsets over lunch. 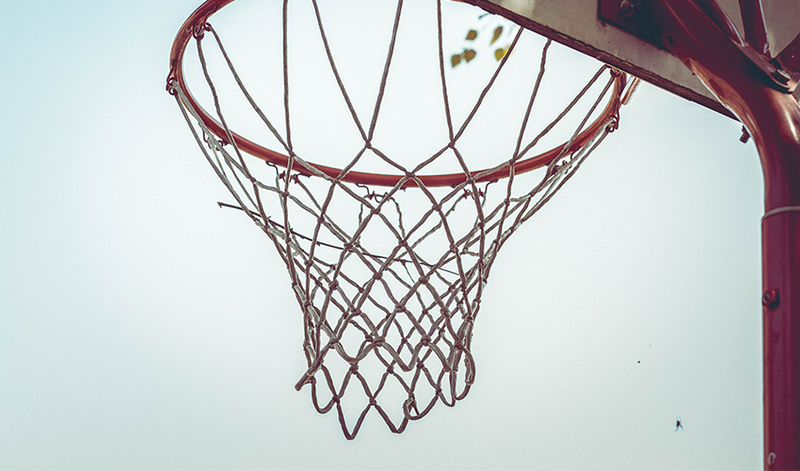 No matter which of the scenarios described above sounds most like your organization, before the first round of games tips off, it is important, especially in HR, to be aware of the arguments both for and against taking part in March Madness in the workplace. Armed with the information below, plus a well crafted policy on gambling in the workplace, the powers-that-be can make an informed decision about what your organization is comfortable allowing when it comes to March Madness in your workplace. While not everyone is going to participate, filling out a bracket online is easy enough to do—even for the least sports literate employees. In fact, doesn’t it always seem to be that one person who has never been to a basketball game in their life that wins the pool in the end? The tournament has a low threshold to participation, gives coworkers who wouldn’t have ever said two words to one another something to bond over, gives a few employees a chance to take charge of something (can you say leadership skills? ), and you, the employer, didn’t have to do a thing to make that happen. Sure, it gets people talking in the lunchroom and makes a good icebreaker, but when there is money on the line—or worse, egos on the line—friendly banter can take an ugly turn for the worse. It’s difficult to monitor how seriously employees might be taking what should be a friendly little game. Plus if there is any negative history between certain employees, an off the cuff comment about “winning” could bring old wounds to the surface again. Yes, it is true that some portion of your workforce will spend some amount of time checking in to see how their bracket is fairing—at work. But, news flash, they are going to do this whether or not you “officially” condone their actions. Some might argue that this is a “if you can’t beat ‘em, join ‘em” attitude, but it’s so much more than that. Don’t just sit back and let all of your employees spend the next month plus online not doing work and making your clients wait days to hear back from them. Instead, why not harness the enthusiasm around March Madness and make the most of the situation by hosting an afternoon watch party with snacks or have a “team spirit” day and give employees a chance to dress down and wear their favorite team’s colors. Even if you don’t have the time and resources to plan official events, there is something to be said for letting employees have a little fun at work—even if that means they take a slightly longer lunch hour to see the last few minutes of the game or check the latest score before going into a meeting. In the long run, it is this kind of goodwill offering that will keep employees happy at work. The exact figures vary from year to year, but most are hovering somewhere between the 1 and 2 billion dollar mark for total loss of productivity at U.S. employers during the 5 weeks that are the NCAA tournament. This kind of waste wouldn’t be tolerated for any other event, so why allow it for March Madness? Beyond just the distraction and constant checking of game scores, you all have improper use of company computers, internet (streaming those games takes up a lot of bandwidth), TVs, printers, etc.—all at the expense of the company. From a purely data driven standpoint, this one is pretty cut and dry. Who doesn’t love to win free stuff? Not all pools have to involve money (money is where things start to get a little tricky in terms of gambling), but no matter what the winner(s) get in the end, it should always be made clear upfront. Although it may not be very reassuring to HR or your legal council, others argue that from a purely practical standpoint, the chances of an employer getting in trouble for gambling for a March Madness pool are probably very low (a.k.a., they have bigger fish to fry). If you do choose to award money best practices would keep the amount for the “buy-in” small and not conflict with existing company policy on gambling. And of course, make sure that whoever is in charge of collecting money is trustworthy—although local law enforcement isn’t likely to come knocking, one major case at the state level involving March Madness gambling in the workplace only resulted in legal action because the employee running the pool was taking his own cut off the top. In short, if you run an above-board operation that is moderately sized and run fairly, you are probably safe. At the federal level gambling is probably not permitted at work (online brackets cross state lines), but the exact legal questions that arise from March Madness do vary from state to state. This debate is primarily focused on where along the spectrum these March Madness pools fall on the spectrum of “gambling” and less about whether or not it is in fact gambling (which a monetary pool for a sports tournament certainly seems to be). Some experts argue that March Madness pools could fall under “social gambling” in some states, but likely only if the prize is something other than currency. While there are certainly ways to control some of the legality of the gambling aspect, i.e. all winnings go to the winner or a charitable cause, entry fees are limited, fill out brackets on paper (instead of online), no cross-state pools at multiple locations, etc, there are also concerns over other legal issues that may come into play over the course of the tournament. These include, but are not limited to whistleblower laws and player’s employment laws. Be sure to consult a legal resource if you have any questions regarding betting and gambling in your workplace.